NEW MOON in Sagittarius December 6th/7th 2018~Mercury Direct – "Just Another BlaH BlaH BlaH BloG." It’s that time again; Get our your New Moon Journals and write out ten desires, wishes, hopes, and dreams. This powerful New Moon began last tonight on Dec 6, 2018, at 11:20 pm (PST). Along with Mercury going direct today December 7th, we can expect some firey moving energies to enter into our vortex…Whoa, hold on! This a magical, spiritual New Moon once again offers us an opportunity for expansion and another level of understanding. The more we understand the more we expand and heal. Ask yourself; What do I want right now to change in my life? Now is the time to pen that desire to paper and see it to fruition. This new moon is a time for growth, we shall be set free of the old ways, old patterns. Sagittarius the Archer is about the quest for truth, peace of mind, freedom, and adventure. With this firey and inspiring energy that is happening right now we are being renewed and created, therefore buckle up, remain mindful, have faith and have optimism. New Moon Mantra; I welcome transformation, I welcome growth, I welcome abundance, I am open to the unknown opportunities, I am ready for liberation. Love flows through, and we actualize our Divine Selves. 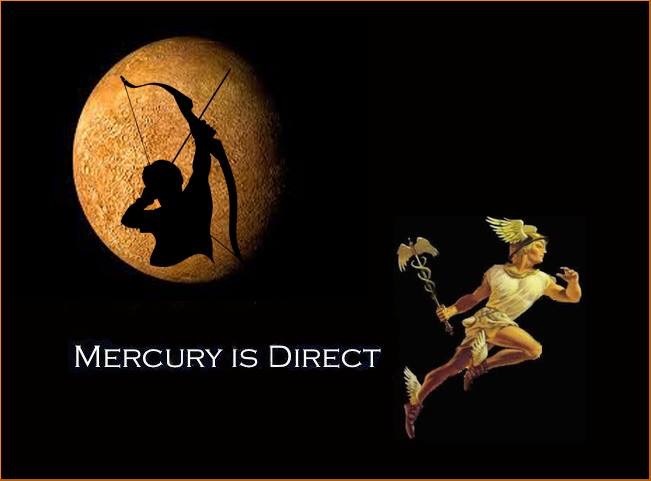 Mercury goes Direct in Scorpio! Don’t become Thirsty, enjoy waiting patiently for a cup of tea. !